Arsenal muslim players – Arsenal is one of the most popular clubs in England. They also known as The Gunners. There are many star players that ever play in Arsenal. Players in Arsenal come from any background, including muslim players. In the past and present, there are some muslim players in Arsenal. Current example of Arsenal muslim players are Mesut Ozil and Granit Xhaka. So who are other Arsenal muslim players – past or present? Currently, there are 4 muslim players in Arsenal. They are Mesut Ozil (Germany), Shkodran Mustafi (Germany), Granit Xhaka (Switzerland) and Mohamed Elneny (Egypt). Ozil is Arsenal main playmaker, while Mustafi take care of defensive side. Xhaka and Elneny is often rotate to fill center midfielder side. In the past, there are several muslim players in Arsenal. For example, Kolo Toure who become key player in Arsenal’s invicible. Other notable muslim players such as Bacary Sagna, Emmanuel Eboue, Abou Diaby, Gael Clichy, Marouane Chamakh, Emmanuel Adebayor, Samir Nasri and Johan Djourou. There are some muslim footballers in Arsenal from time to time. Below is list of Arsenal muslim player and his personal detail (birth date, position, club career, honours). 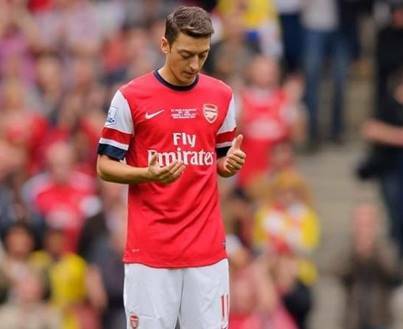 Mesut Ozil is probably the most popular muslim players in Europe. He was born in Gelsenkirchen, Germany on 15 October 1988. As a German-born players, he start his career in Bundesliga with Schalke and later Werder Bremen. Ozil play for Real Madrid before Arsenal bought him in 2013. He also become key player in Germany national football team and become part of Germany squad that won 2014 World Cup. Ozil known as his vision ability and passing accuracy. He also often called ‘Assist King’ based on ability to make assist to other player to score goal. Not only Ozil, Arsenal also have another German-born mulsim players. Shkodran Mustafi was born in Bad Hersfeld, Germany in 17 April 1992. He play as center back and right back. Like Ozil, Mustafi also often called up to play for Germany national football team and also part of German squad to won 2014 World Cup. In current season, Mustafi is one of Arsenal key player in defensive side along with Laurent Koscielny. Granit Xhaka is football players from Switzerland. His position is defensive or center midfielder. Xhaka was born in Basel, Swiss on 27 September 1992. Before join Arsenal, Xhaka ever play for Basel and Borussia Monchengladbach. Xhaka have great ability as midfielder. His tackle and passing ability is his main skills. Xhaka also become part of Switzerland national football team. Other muslim players in Arsenal is Mohamed Elneny. He was born El-Kubra, Egypt in 11 July 1992. Elneny bought from Basel. His position is defensive midfielder. Elneny is not regular starter in Arsenal, but when he play, he will give his maximum performance. Elneny often known with his tackle ability. He also become key player in Egypt national football team. In the past years, there are several muslim footballers in Arsenal. Some have succes spells (i.e Kolo Toure, Sagna, Nasri) but some muslim players also flop (i.e Chamakh, Sanogo). As one of the most popular clubs in England and the world, it’s no surprises that many muslim players ever play in Arsenal. Some of the best muslim players in world football such as Mesut Ozil, Granit Xhaka, Samir Nasri, Kolo Toure, Emmanuel Adebayor, Bacary Sagna and Abou Diaby become notable example of muslim players in Arsenal, past or present.